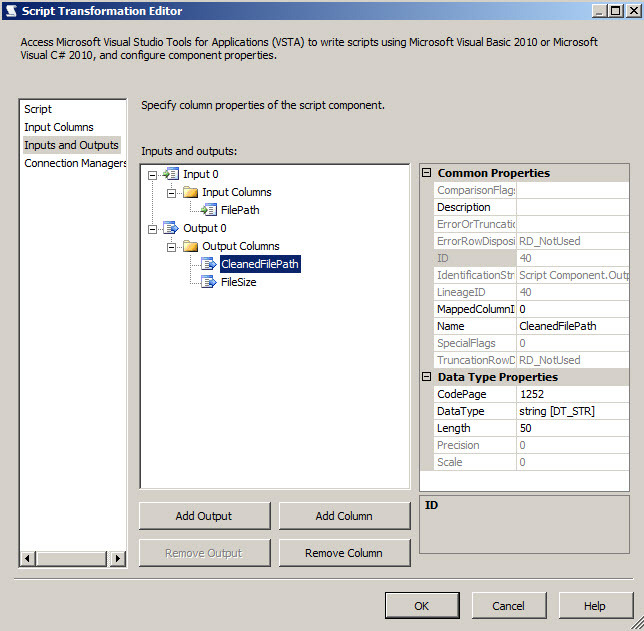 Another SQL Blog - Jason Yousef: SSIS Strip digits from a string. 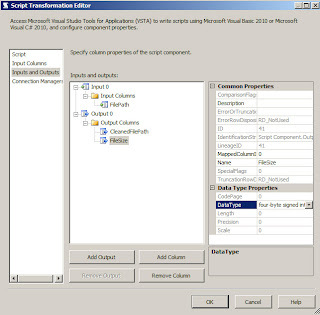 SSIS Strip digits from a string. 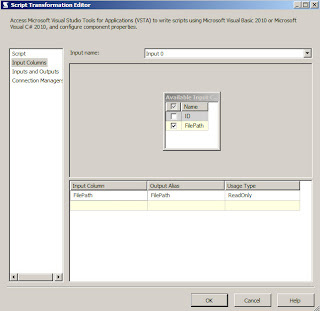 Today's scenario is a "File Name" that contains digits and need to strip these digits out, it can be at the beginning of the string, middle or at the end. If you are wondering, why there's digits! it's the size of that file and only comes at the end of the string, but just to demonstrate various scenarios that you might encounter. For our demo, I'll create a table, has 2 columns, an ID and a FilePath column. 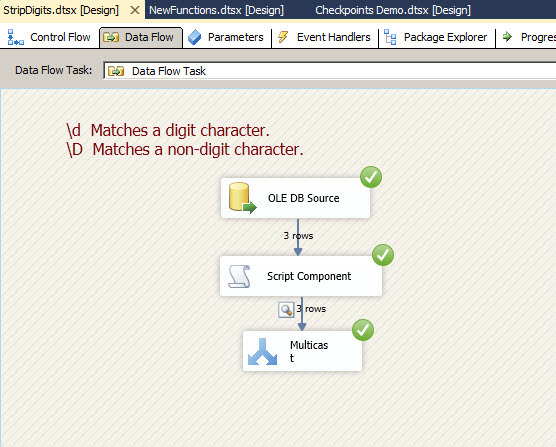 the output will be 4 columns, our 2 input columns along with 2 new columns, FileSize and CleanedFilePath. 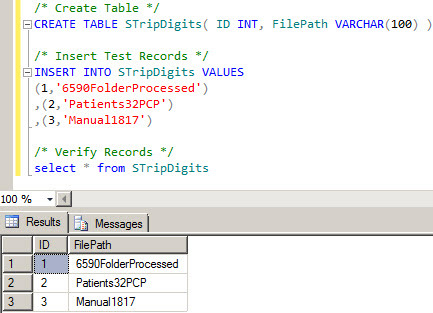 Of course you can overwrite your FilePath with the digits stripped one. 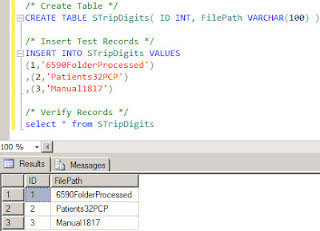 Let's run the below script to create the test demo and insert 3 test rows. 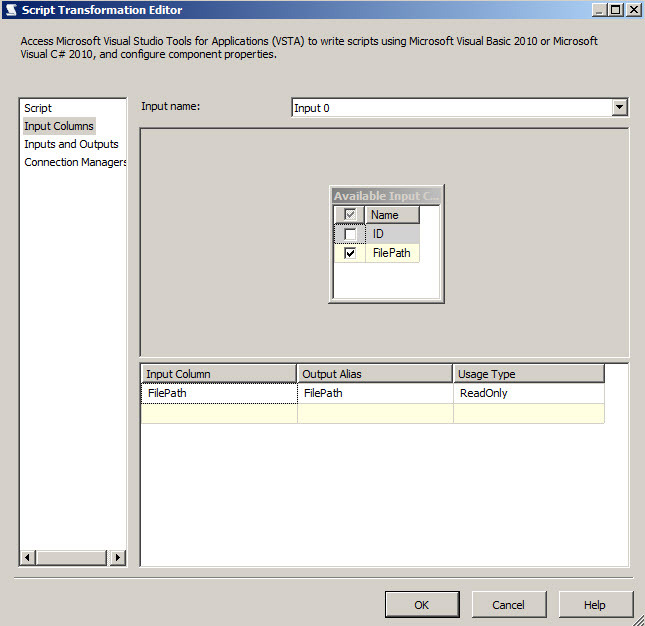 1-Basically I'll add a "OLE DB Source" to read from my SQL table, I'll assume you know how to configure that. 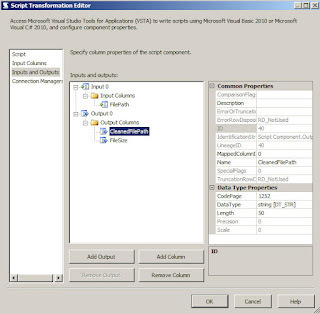 2-Will add a "Script Component", will use "Visual Basic .NET" as my scripting language. 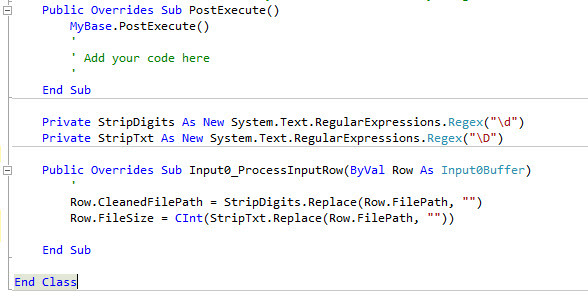 Will Create 2 new output columns, a string for the cleaned File Path, and a File Size for the digits portion of the string. 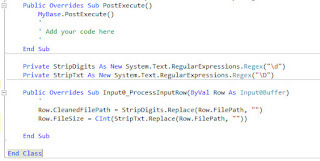 I'm using Regular Expressions here, so simple 2 lines of code.. Your package should look like that...Note that i'm terminating using a Multitask so I can use a Data Viewer t ocheck the results.. 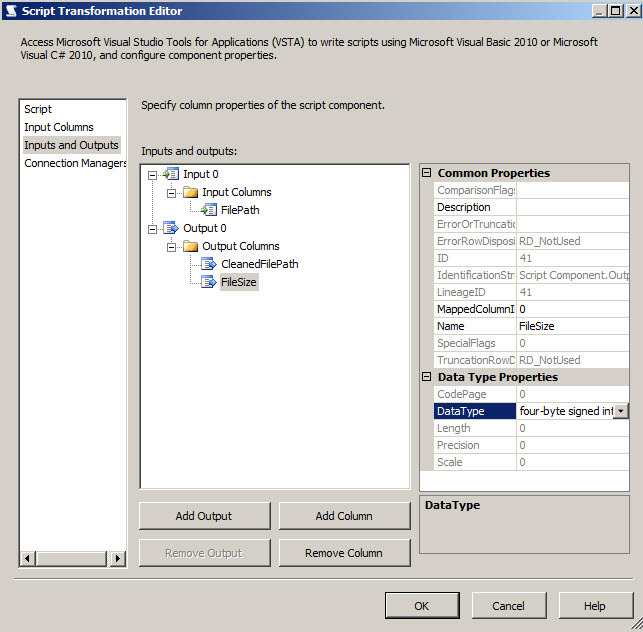 The package was created using SQL 2012, but ti's the same for SQL 2008.